Dubai: A Moroccan man and his Dutch wife in Dubai are often at loggerheads as they both have strong belief systems which they feel their only child should imbibe. While the man values religion and is an emotional character, the woman is non-religious, rational and tries to suppress her emotions. Both met in the UAE and got married. They speak in English, stick to their own cultures and make little effort to understand each other’s traditions. Their families have no contact. Elsewhere in the UAE, a young Syrian woman who has seen her native place crumble to pieces, has been diagnosed with depression and post-traumatic stress disorder. On the one hand, she misses her true identity and the culture associated with it. On the other, she wants to assimilate new values that would liberate her from the past. The tearing conflict in her mind is something she finds hard to resolve. In a third household, an Emirati mother is facing difficulties with her children. She sent them to an international school but finds them too westernised now. She often pulls them up and this leads to stress and arguments at home. 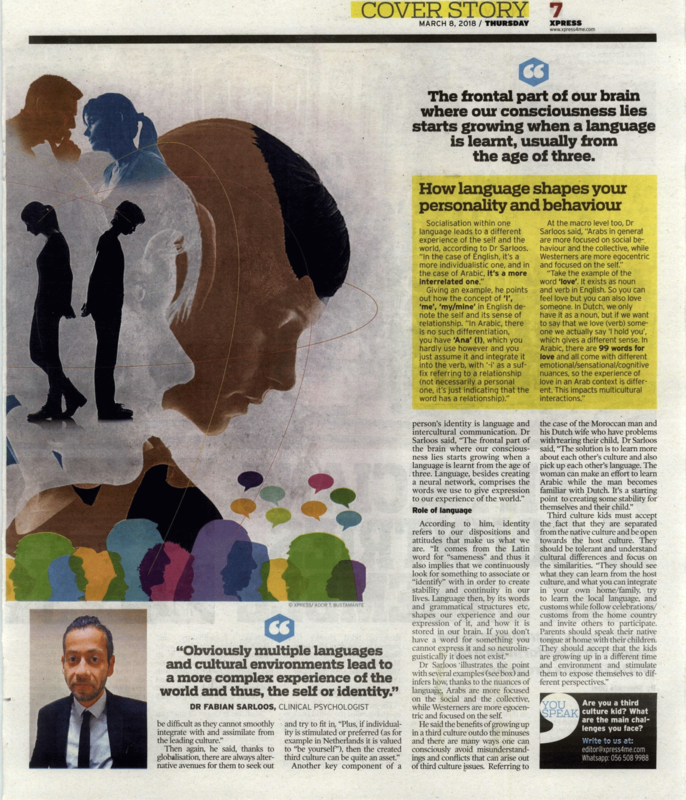 Situations like these abound in the UAE, says Dr Fabian Saarloos, clinical and health psychologist at the German Neuroscience Centre. As someone who works closely with such families, he has some rare insights into what he calls the ‘third culture’ and the psyche of kids who are part of it. “I too am a third culture kid. 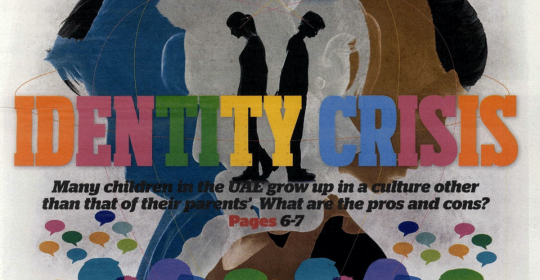 Third culture kids refer to children raised in a culture other than their parents’ original culture,” says the Dutchman who grew up in the UAE.